Peter Fitzsimons’ Gallipoli is very Australia-centric. This is one of most intriguing aspects of the book. It does not try to suggest that only Australians fought at Gallipoli, but the flavour, the perspective, and the prose all have an Aussie accent and use of words − sometimes stark and brutal, other times colourful − that could only be from one country and one time. There have, of course, been many books written about this failed military adventure, but this is not just “another Gallipoli book”. It is a fascinating, highly informative book, with deep emotive characteristics. The latter is something Fitzsimons is famous for. His other books, such as Kokoda, describe events now etched deeply into Australia’s culture. Gallipoli is a lengthy tome, at 824 pages, including notes, references, bibliography and index. This may seem overlong. But Fitzsimons puts the landings at Anzac Cover and Cape Hellas and the subsequent eight months of bitterness, into the deep context of the politics that surrounded the ill-fated campaign; including the failure of the British and French navies to break past the Turkish guns lining each side of the Dardanelles, immediately prior to the campaign. He captures the historic context of Turkey as the Ottoman Empire is failing. The politics from the British, Australian and Turkish perspective are woven into the story, in relation to each significant point in the book. Thus, Churchill gets a bad rap, and Kitchener’s refusal to order the right type of high explosives, is one cause of his eventual downfall. Of course, all of the familiar Gallipoli stories are covered. Did the landings take place at the right place? Probably not, if one of the simple maps included in the book is accepted. The “burial truce”, when Turks and Anzac worked together to bury their mountains of dead is another example of a familiar story. Although these and similar events are basically familiar, Fitzsimons adds considerable detail, often omitted from other accounts. The oft-told story of the withdrawal of the ANZAC, Indian and British Forces from ANZAC Cove is an intriguing example of the added detail that Fitzsimons has brought to bear from his obviously extensive research, using archives, battlefield reports, and personal diaries and letters from every level of the combatant armies – from Turkish and Anzac privates to Imperial generals, politicians and journalists. The intensively detailed planning by Lieutenant-Colonel Cyril Brudenell White, one of the few officers that gets a good rap throughout the book, is illuminating to read, and the fact that it was so carefully and successfully followed by the evacuating armies is astounding. There are many personal accounts and human touches from both sides of no-man’s land woven into the overall narrative. And the epilogue traces many of the characters, both ANZAC and Turk, beyond the Gallipoli experience to their respective post-war fates. This may be an Aussie-centric book, but it adds to the overall understanding of what, why and how the Gallipoli campaign was fought and how the ANZAC legend was created. Imagine a library where, if you begin reading a certain book, you step right into the world that book is describing. Imagine, if you will, a library which boast talking cats, demons, fairies of the wicked and peculiar kind, a mysterious and generally unseen uncle. Imagine being someone who has the ability to get right into the story, physically. That person is Alice and she is a Reader, although she does not know this. Shortly before her father disappears, Alice overhears a conversation between an evil fairy and her father. Immediately thereafter she is sent to stay with her uncle Jerry, whom she has never met. He owns a remarkable and mysterious and enormous library and Alice – by accident – discovers that it holds tremendous power in its volumes. Django Wexler has an amazing imagination, and although the story is far-fetched, it is of course fantasy so pretty much anything goes. 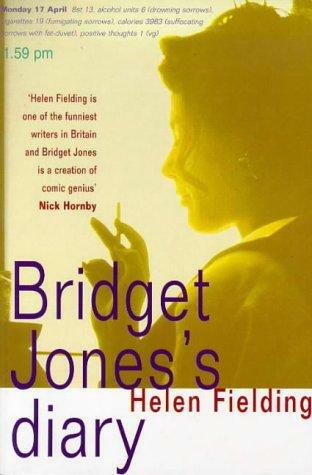 I found the book fun, quirky, and quite well-written, although the characterisation could be more developed. I think younger readers who enjoy Neil Gaiman and maybe Phillip Pullman will find this an interesting diversion. Apparently there are to be further stories about Alice and her adventures as a reader. I am keen to hear what young readers think of this book, and whether they’d like more. Set in the time of tough liquor laws, a heartbreaking depression and all that Jazz…this first novel is a winner from beginning to end. Atmospheric, easy-to-read, well drawn characters, great plot line, there is nothing not to like. In this pivotal, dangerous and exciting time, no one had more power than the bootlegger. And no one suffered more from interference in their business dealings than those who operated under the radar. In situations of hypocrisy and double dealing, it was the bootlegger whose avenues of trust were severely compromised. Fontana, this books main character, finds himself in exactly the kind of situation he doesn’t want to be in. Scrambling desperately to find a solution, his coolness on the outside is not reflected on the inside, the journey to find answers escalates and Fontana finds himself sucked into a vortex of political intrigue and criminal overload with no sure way out. The characters he encounters are murky to say the least. They are well drawn by the author, believable − and in all their tattered glory, they fit. This book is Fontana’s journey, and he carries the lead very well. The supporting characters add to and enhance the journey, and the place and time in which the book is set has been well researched. Having read countless books set in this era, both fiction and non fiction, I feel I can say that Ben Atkins has got it right. This book was an easy, engaging and satisfying read, it was well paced and very hard to put down. I certainly hope that Ben Atkins writes more novels in this genre, he has an aptitude for it and at 20, a long future in front of him. Available in bookstores. A current top-10 bestseller. This book is a well-published gift book which has moments of warmth and humour. 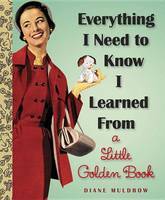 Diane Muldrow is a long-time editorial director at Golden Books, and has written many children’s books herself. Her preface delineates her market: ‘Our chickens have come home to roost, and their names are Debt, Depression, and Diabetes.’ She goes on to wonder how we got so off track, earmarking favourite characters like Scuffy the Tugboat, or the Poky Little Puppy, as she writes. For all this, the selection of images in compliment to the advice is very well done. Seeing my old friends the Colour Kittens and Mister Dog used to demonstrate certain pieces of advice is neat. I particularly like the spread of Chicken Little, used to illustrate ‘Steer clear of shady characters’ – with the fox waiting behind a tree ahead. While I don’t get the joy that many other reviewers have gleaned from this book, its charm speaks louder than the words inside. This book is available in book stores now. It is a truth universally acknowledged that a fan-fiction author in possession of a Pride and Prejudice story must be in want of a publisher – not to mention a movie studio. It is an extraordinary tribute to Jane Austen and the power of her writing that now, two centuries on, readers and writers across the globe are still wanting to inhabit the world she created in Pride and Prejudice. There is a strong tradition of sequels, translations and reinventions of this classic tale, and the latest in this line is Longbourn by Jo Baker (published by Random House), which retells the story from the perspective of the servants. Longbourn, much like that other famous piece of Austen fan-fiction, Helen Fielding’s Bridget Jones’s Diary, has been very popular and is due to be made into a film. Fan-fiction has a slightly strange place in the ecosystem of books. Many shy away from the term, which is broadly used to describe the process whereby writers set their stories in the worlds of other authors’ books, often using other authors’ characters, and sometimes inserting themselves as a character into the story (this last is known as Mary-Sue fanfiction). And it is true that, especially since the advent of the internet, and consequent ease of self-publishing, there is a plethora of poorly written wish-fulfilment drivel out there, a significant proportion of which is pornographic. But fan-fiction also has a higher calling. Writers being inspired by other writers forms an integral part of any literary tradition, with significant works echoing down the generations and growing in the retelling. With modern copyright laws, most of the fan-fiction that gets made into books by publishers is based on the works of writers long dead; a notable exception being Fifty Shades of Grey, which is openly Twilight fanfictio n with the names changed to avoid lawsuits. Sarah’s life of drudgery is vividly drawn, and Baker succeeds in making us understand just how precarious were the lives of the poor in Regency England, where livelihood and shelter could be arbitrarily whisked away at a word from someone higher up the class system. It gave a whole new layer to the Bennets’ anxiety about the entail: when Mr Collins inherits Longbourn, will the servants still have jobs? A home? Where I thought the reimagining fell down, however, was in giving Sarah too much of Baker’s own twenty-first-century sensibility: Sarah’s outrage at the class system, racism, domestic service and foreign wars feels too modern for an uneducated nineteenth-century teenager whose entire life has been spent in one country village. As a reader, one of the joys of well-written fan-fiction is seeing beloved and familiar characters from a different angle, and Baker achieves this with aplomb. Her Darcy, seen through servants’ eyes, is frighteningly detached, utterly resistant to the notion that servants might be people with opinions and lives, and is described several times as failing to see Sarah at all, as though she had been literally – as well as socially – invisible. Baker’s Lizzie, although kind in a rather offhand manner, is basically ornamental, and scared of the responsibilities she inherits upon becoming Mrs Darcy. But where Baker really shines is with her reimagining of Wickham. Rather than a charming rogue, her Wickham is a genuinely menacing sexual predator, whose advances towards the prepubescent housemaid Polly become even more frightening as we realise that, as a servant, Polly has absolutely no one to protect her. Overall, I would recommend Longbourn to Austen fans and lovers of historical romance. The writing is engaging and the plot, if rather wish-fulfilment-driven, is narratively satisfying. Longbourn is, at its heart, an act of love.